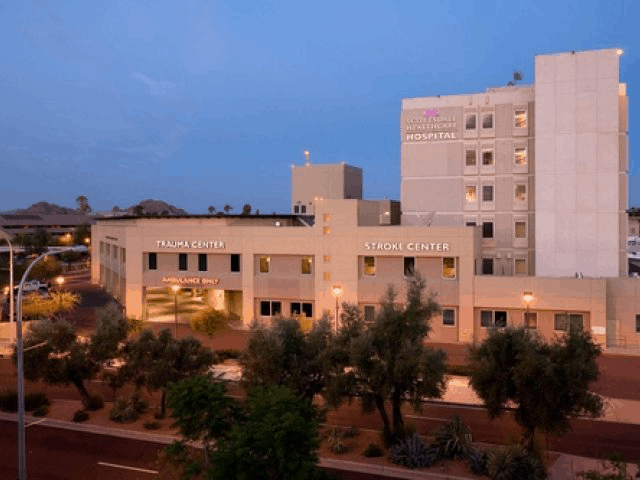 HonorHealth Scottsdale Osborn Medical Center is located only a few miles from our plastic surgery office in the city of Scottsdale, AZ. This facility is highly advanced and offers 337 full-service beds for their patients. Their medical center is equipped with a trauma unit, family birthing center, and trauma training center for the U.S. military. They are especially recognized for their exceptional care and advancements in the fields of trauma, orthopedics, neurosurgery, cardiovascular services, and critical care. Our board-certified plastic surgeon, Dr. Meger, performs most of his out-of-the-office surgeries in this trusted medical center, where he is confident about his patient’s well-being and recovery.